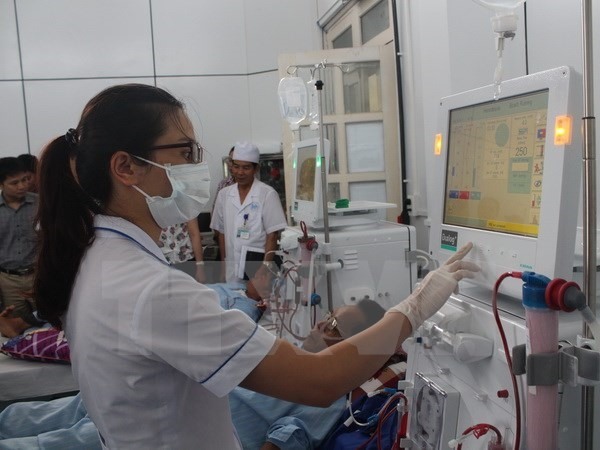 HÒA BÌNH — Director of the Hoà Bình City General Hospital in northern Hòa Bình Province on Tuesday dismissed news on social media that the hospital was irresponsible in compensating eight families of kidney patients who died in May while receiving dialysis at the hospital. Dr Lê Xuân Hoàng said the occurrence of serious medical problems was the responsibility of the hospital, and the hospital had apologised to the families of the victims. It also agreed to compensate the families of the victims with VNĐ50 million (US$2,200) per family, he said. The hospital held a dialogue with representatives of the eight families to reach an agreement on compensation. However, the two sides were unable to reach a deal because one family asked for too much compensation, which was outside the legal framework and the level of the hospital’s payment ability, Hoàng said. The case would be referred to the People’s Court for trial according to the provisions of law if the two sides were unable to reach an agreement on their own. The hospital would strictly adhere to the judgment of the court, he said.